Executive Board | Medfiles Ltd. The executive board of Medfiles administrates the daily implementation of board policies and ensures that they are in line with company values, mission and vision. In addition, the board assures that good governance practices are established and maintained within the organisation while leading the company and its employees to the path of success by following fair, flexible and fresh values. 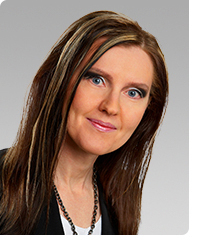 Tuija Keinonen has been the CEO of Medfiles Ltd between 1999 and 2005 and then the CEO of Medfiles Group since 2005. She has over 20 years’ experience in contract research business and its establishment. She has now led Medfiles Ltd and been the member of the board for over 14 years. Before this position Tuija Keinonen was Medfiles’ clinical research director (and 4 years the quality director responsible for establishment of the company’s quality system). Before Medfiles she worked as a deputy pharmacist in charge of a hospital pharmacy (Vaajasalo hospital) and project researcher (pharmaceutical chemistry) at the University of Kuopio. In 2003, Tuija Keinonen defended her doctoral dissertation (Clinical Drug Trials in Finland: Quality and Characteristics) on pharmacology and toxicology at the University of Kuopio. She has published scientific articles on clinical trials and pharmaceutical chemistry. 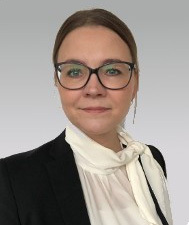 Furthermore, Tuija Keinonen led for over 3 years a contract manufacturing organization, Medipharmia Finland Ltd, a former subsidiary to Medfiles Group (the former Medikalla Group). She has experience in business acquisitions and business integration. She holds several positions of trust both in the private and public sector as well as board memberships. She is a frequently invited speaker at courses and seminars. Tuija Keinonen has also been an Estonian honorary consul (appointed by Ministry of Foreign Affairs of Estonia) since 2012. Satu Kujala has been with Medfiles since 1999. She worked as a clinical research director until 2006 and then as a regulatory affairs director until June 2014 when she was appointed the director of healthcare services. Currently, she is in charge of Medfiles’ clinical and safety services. She has worked for over 20 years in pharma industry and has gathered experience in clinical trials, regulatory affairs, price and reimbursement applications, pharmacovigilance, quality, and marketing. Satu Kujala has acted as the QPPV for Oy Medfiles Ltd since 2007 and also for several companies. She has also worked as a responsible director of the wholesale for several companies and as a QA responsible for an ISO9000 certified company. Her experience in clinical studies covers 12 years as a CRA, project manager, and research director with various duties ranging from study planning to writing of a final study report. She has also been a lecturer at the University of Helsinki and worked in a pharmacy. 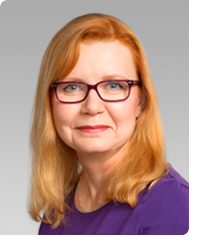 Satu Kujala has a broad knowledge of drug development and life-cycle management as well as a long track record in CRO business with wide range of duties from those of a scientific expert to marketing and business unit management. 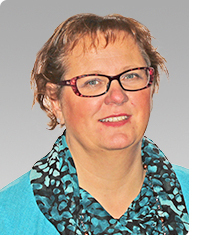 Mirja Savolainen has led the R&D and analytical services unit at Medfiles Ltd since 2007. Before that she worked for 10 years as a laboratory manager of the microbiological laboratory: her main responsibility was to set up and develop microbiological services. Before Medfiles she held various teaching positions on laboratory techniques in microbiology and cell biology at the University of Kuopio. Mirja Savolainen has also been the responsible director of Medfiles Ltd since 2008; this is a mandatory position stipulated by the Finnish Medicines Act for every company with a GMP licence. She has experience in quality issues as well as occupational safety. She has a long track record in CRO business with a wide range of duties from those of a scientific expert to marketing and business unit management. Minna Haapalahti has worked at Medfiles since 2010 leading regulatory services since 2018. She has over 19 years experience of biochemistry and pharmacy. She has operated in several research and product development positions in university, research organisations and in Red Cross’ Blood Service in Finland and Germany. Before coming to Medfiles she was involved in research and development of biomedicines, in quality assurance and quality control of blood products as well as stem-cell research. Minna Haapalahti has experience also from quality control of in vitro -diagnostic tests (IVD) in ISO9000-certified company. She has medicinal legislation education and very extensive knowledge from EU’s marketing authorization processes and designing them. Minna Haapalahti has also long experience from CRO business and from leading the business unit service. Masahiro Yoneda was born on December 29, 1976. He joined WDB in 2000 and since then has been engaged in various sales and marketing activities. Masahiro Yoneda has an experience of 14 years as a Branch Manger. 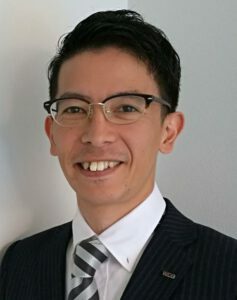 In addition, he has experience of working in human resources management with large Japanese pharmaceutical companies in their laboratory services. Moreover, Masahiro Yoneda has expertise in sales and marketing. In March 2017, Masahiro Yoneda was appointed the Executive Vice President of Oy Medfiles Ltd.